Welcome to Busy Bee Virtual Bookkeeping! and micro businesses who are using Cloud Accounting Systems. Is your Ledger entry becoming too time consuming? Are you finding bookkeeping a burden? Then Busy Bee can help you! and proactively. A time saving and cost effective service. 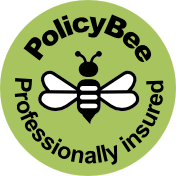 Busy Bee gives your business the edge with a modern bookkeeping solution! Experience in Quickbooks Online, Xero and other systems. If you are reading this and don't currently use Cloud Accounts, Busy Bee would be happy to advise you on how Cloud Accounts work and how you can get set up. Busy Bee makes Bookkeeping stress free!